Five former Central American presidents proposed an integrated regional approach as the only way to tackle the endemic problems of organized crime, drug trafficking, violence, and rising income inequality. “No nation can be an island of democracy, in a sea of conflict,” said former Guatemalan president Vinicio Cerezo. The presidents met at the Organization of American States (OAS) in Washington, D.C., at a forum to mark the 30th anniversary of the Esquipulas agreements that established peace in Central America after decades of civil conflict that cost hundreds of thousands of lives. The agreements marked the beginning of democratic governments in the region. “No nation can be an island of democracy, in a sea of conflict.” former Guatemalan president Vinicio Cerezo. Since then, new problems have arisen. Forty percent of the population are under 20 and 57 percent of them live in poverty, fueling gang violence that produces the world’s highest murder rate. “We have exchanged the ideological conflict for the drug-trafficking conflict,” said former Guatemalan president Alvaro Colom. “There are more bodies today than during the war,” added former president of El Salvador Armando Calderon. The presidents agreed that more robust economic and social policies were needed to reach marginalized groups who fed the violence. These included housing, jobs, and better education, including the “need to instill values and principles” to counteract the gang culture. These should be addressed jointly on a regional level. Former president Cerezo observed that the Esquipulas agreements of 1986 and 1987 laid a stable political foundation for the development of democracy. Today a stable foundation for the investment that could fuel economic growth was needed. He proposed that the same model of regional dialog and cooperation that produced the 1986-7 agreements could be used today. The process could even be called Esquipulas III & IV. He urged the group to promote this approach to the current presidents. 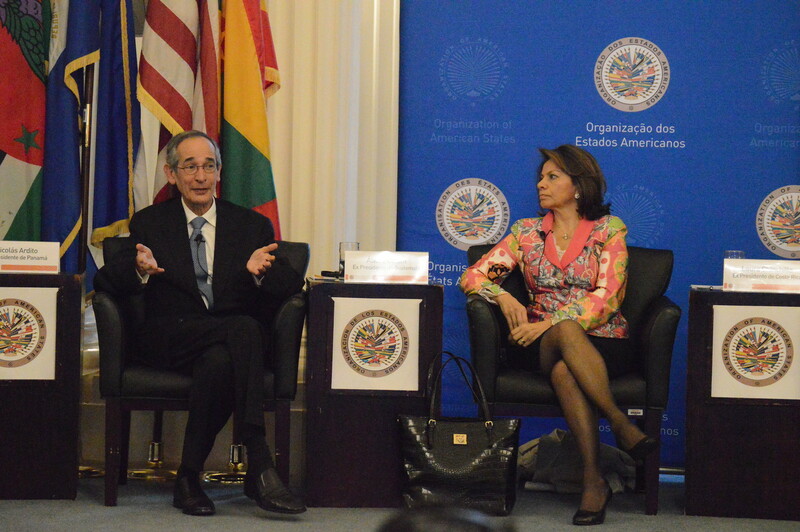 Other former presidents attending were Laura Chinchilla of Costa Rica and Nicolas Ardito of Panama. 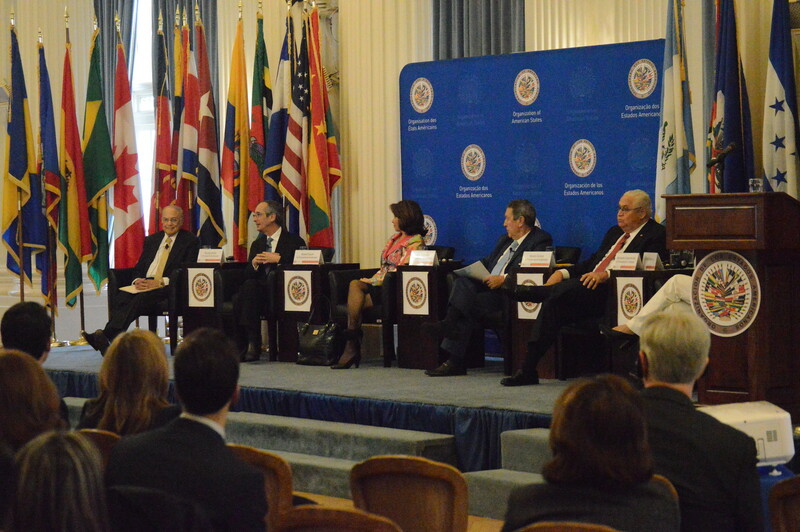 The forum was organized by the Latin American Presidential Mission with support from OAS, the Global Peace Foundation, The Esquipulas Foundation, and Guatemala’s Foreign Ministry.